United by a common agenda, non-governmental special-interest groups have contributed to financing, writing, evaluating, and promoting new, national Common Core educational standards. Behind Common Core is big money from private philanthropies and companies, many of which stand to rake in billions off the Common Core boondoggle. The e-learning market alone is estimated to grow to $6.8 billion by 2015, up from $2.9 billion in 2010. Having received millions in Gates' grant money, the Thomas B. Fordham Institute gets the picture. In the Puget Sound Business Journal (2009), the institute's vice president Michael B. Petrilli conceded, "It is not unfair to say that the Gates Foundation's agenda has become the country's agenda in education." 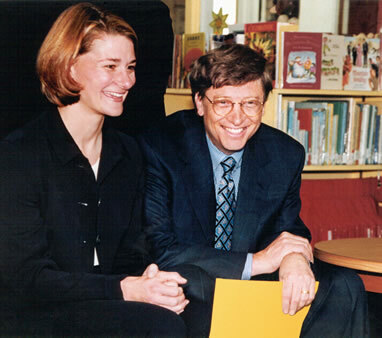 Of course, neither Bill nor Melinda Gates is a trained educator. Of instructional goals, Bill Gates agrees, "At the end of the day, some of those trade-offs will be made politically [Emphasis added.]." "If you can't make it good," Gates famously mused, "at least make it look good." Enter, Obama's brainchild, Race to the Top—more accurately, "Race to the Trough" of "free" grant moneys for educators who, by the way, aren't its only beneficiaries. Industry giants who champion Common Core will no doubt profit handsomely. By mandating a computer for every child, Race to the Top generously "seeds the ed-tech ecosystem." Talk about a sweet deal. Promoting worldwide collaboration, the Gates have partnered with the Pearson Foundation. Having taken over one hundred of the world's textbook publishing companies, Pearson is the biggest publishing company in the world and will supply required e-books in tandem with compulsory computers. Professor of Renaissance English Literature at Providence College in Rhode Island, Anthony Esolen characterizes Common Core standards as "mind-stunting, strictly utilitarian miss-education." World class, they aren't. Nor are these standards robust; yet advocates conveniently insist that standards cannot be changed, or errors corrected. After all, they are already printed and copyrighted. Problem is, by the eighth grade, standards fall two years behind international expectations. They fall even more behind by twelfth grade. Remember, the only authentic mathematician on the validation committee rightly refused to sign off on math standards. Where math has been tried, test scores were no better (as in Utah) or lowered (as in Massachusetts). Among the standards' flaws is an untried, experimental approach to geometry. Moreover, standards postpone algebra to grade nine and fluency in division to grade six. English standards are equally troubling. Cursive writing and phonics apparently are deemed passé. Plus, there are only nine literature standards; and contemporary texts (often multicultural) are generally shorter, easier reads. In contrast, ten standards have students reading informational materials like computer manuals and, even more disquieting, advocacy journalism. Books, poems, and informational reading suggested in "text exemplar" sections of appendices feature skewed, highly politicized perspectives on Obama Care and Agenda 21, to name two, the likes of which unduly influence students. The Obama Core program will be fully in place by 2014, when assessments start. Then, state-based testing will defer to national standardized testing developed by private companies who, in turn, are awarded big money for their efforts. While there are no hard and fast rules for using Common Core standards, "teaching to the test" is advantageous with respect to teachers' job security and income since 20-40% of salaries are tied to student performance. Professional teacher organizations have "a vested interest in lowering the accountability bar for their members" (Dr. Ze'ev Wurman, former U.S. Department of Education official); and high-stakes, one shot testing tempt some to cheat for their bonuses. Recall that a shining star of the school reform movement, former district superintendent Beverly L. Hall, was indicted in Atlanta along with 35 of her fellows for cheating on standardized tests. Charges included racketeering, theft, influencing witnesses, and making false statements. Even for non-cheaters, it pays to be on board. In 2012, the Obama Administration announced a plan for creating a national STEM (Science, Technology, Engineering and Math) Master Teacher Corps to be launched with $1 billion from Obama's 2013 budget request with 50 exceptional teachers in 50 sites. Over a four-year period, the numbers will expand to 10,000 master teachers who, for their multi-year commitment, answer directly to Obama (not to state or local districts) and receive annual stipends of some $20 thousand above their base salaries. The Family Educational Rights and Privacy Act (FERPA) of 1974 provided protection from Orwellian surveillance, data collection, and its storage that watchdog organizations like ParentalRights.org vehemently oppose. In 2011, the Federal Department of Education amended FERPA to align with the United Nations Convention on the Rights of the Child. This allows unprecedented access to personal information by schools and third parties—i.e., researchers and private companies, authorized by executive order to track and collect invasive data on students, even on teachers and administrators. For states to be awarded grants and waivers on their "race to the top," they must initiate state longitudinal database systems that log personally identifiable student data. Seeding the ed-tech ecosystem purportedly helps students and teachers around the globe. So says Gates. Developed and funded by the Gates Foundation, the Carnegie Corporation, and Rupert Murdoch of News Corp, the nonprofit corporation called InBloom facilitates the logging of personally identifiable, individual student data. InBloom even has fields for tracking homeschoolers. Add security risks involved in collecting and storing data—e.g., biometrics, religious/political persuasions, test scores, learning disabilities, social security numbers—and "Houston, we have a problem." Health records are certain to follow. In response, and rightly so, the Electronic Privacy Information Center in Washington, DC is suing the U.S. Education Department to stop illegal collection, storage, and sharing of student information. "The stick" for noncompliance accompanies "carrots" of promised federal money, coupled with exemption from rigid requirements of No Child Left Behind. You see, prizes are conditional on implementing Common Core standards and tracking student data, as directed. Given the 2009 Blueprint for Education Reform, even Title 1 dollars earmarked for low-income schools are at risk in this either-or-else scheme. Keep in mind that, although relatively few applicants actually receive grant moneys, all commit to implementing standards. Despite grants awarded to the lucky few, the over-all estimated cost per state will likely hit the $16 billion mark. Initial funding for national assessments may well come from the federal government, but states must carry the burden of their long-term funding. Should a state decline participation, districts within that state may apply independently. Of the nearing one thousand districts that have already applied, only fifteen or twenty of them will receive moneys. For new textbooks, mandatory computers and e-books, cost of time for teacher training, and the like, local school districts will be saddled with an additional $165.5 million that they simply can't afford. Race to the Top is yet another Trojan Horse we best not mount. Just say "no" to federal control of education, and some day your grateful children will thank you for it.